Anna is available for various demonstrations and can tailor to your needs. 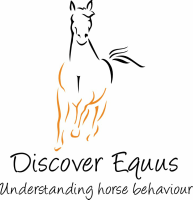 She can demonstrate how to overcome different issues you may be experiencing, using your horse or her own, or how to start a young horse, or teach a wild horse to accept human touch. She is available for both short demonstration, or those lasting all day. If you are interested in having Anna come and do a demonstration, or would like to host one at her place, please contact her at discoverequus@gmail.com to discuss dates and prices.